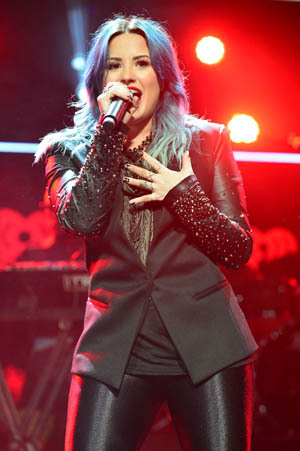 Demi Lovato has come out in full support of Ke$ha’s decision to go into rehab for her eating disorder. Having had an experience with rehab herself, Demi Lovato spoke out in support of Ke$ha for seeking treatment to deal with an eating disorder. Sober for a few years now after getting treatment for personal issues and drug use, Lovato feels very positive for Ke$ha and her decision to get professional help for her problems. Lovato said she went into rehab because she could not continue living without it. Currently at Timberline Knolls Residential Treatment Center in the Chicago outskirts, Ke$ha checked herself in just after New Year’s. This is actually the same place where Lovato was treated for her own issues, which also included an eating disorder. Fortunately, it seems Ke$ha is doing well with her treatment as she was able to tweet to her fans from the rehab facility, telling them that despite the difficulty, things are going good.